While a friend was visiting from Canada, we took her on a road trip from Bakersfield, California to the coast via Mount Pinos in the San Emigdio Range. This is an easy trip in a gasoline-powered car. But we drive electric and therein lay the problem, or as we think of it, the challenge. As I've explained in numerous reports on EV road trips with our Nissan Leaf and even in our 2017 Chevy Bolt, this part of California where we live is not well served by DC Fast Charging stations. In some locations where we like to travel there's neither a Level 2 station nor a RV park with a 50-amp outlet we could use. As we've been assured for over four years now, the stations are coming. But the reality is they are not here yet in late 2018. With the Chevy Bolt and its 60 kWh traction battery were able to climb to the summit of Mount Pinos, consuming 26 kWh. We spent the night in Pine Mountain Club and then drove on to San Luis Obispo with a stop at Bittercreek Wildlife Preserve to see the condors, consuming another 18 kWh for a total of 44 kWh. Then we drove on to our final destination of Cambria, using another 8 kWh. We charged briefly at a fast charger in SLO. It wasn't necessary after the fact, but since I hadn't driven this route before I wanted to play it safe. We would have made it to Cambria on a total of 52 kWh consumed or about 13% remaining. 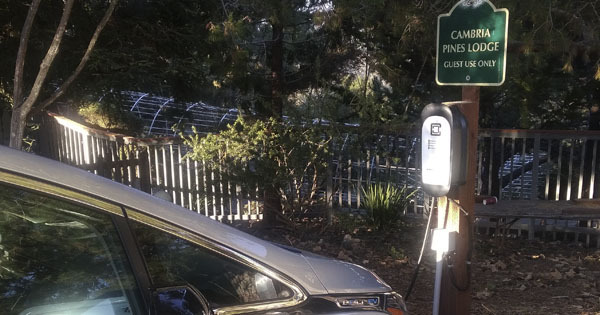 In Cambria we charged overnight at the Cambria Pines Lodge which has two Tesla destination chargers and one ClipperCreek HSC 40 Level 2 charger. We returned from Cambria to Bakersfield via Paso Robles. This leg consumed 39 kWh. I then tested the results on this route with an EV using a 40 kWh battery using EV Trip Planner and Chevy's Energy Assist app. There are no charge stations--of any kind from I-5 on the east to Santa Maria on the west. 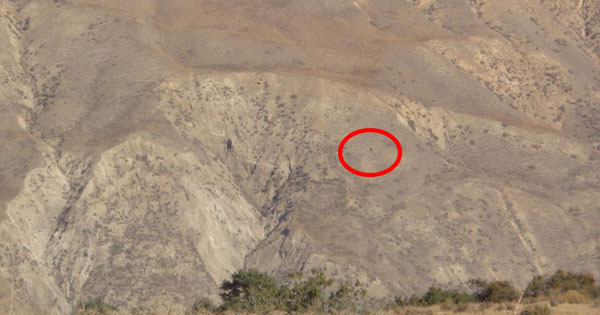 The vehicle must get to Mount Pinos--or at least Pine Mountain Club--and then on to the DC fast chargers in Santa Maria. As I learned, we wouldn't have been able to reach even the first leg of the trip in our previous EV, a 2015 Nissan Leaf, with its 24 kWh battery. And the first two legs of the road trip would not be possible in today's EVs with only 40 kWh batteries. 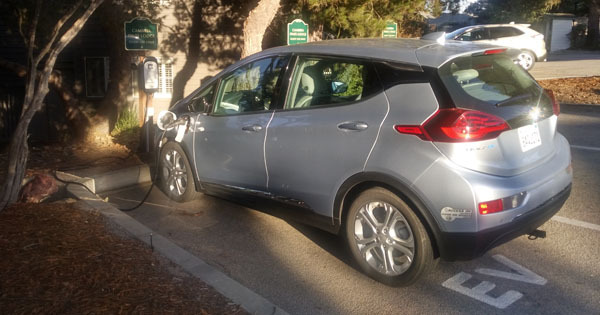 The first leg to Mount Pinos uses 26 kWh--well outside the 22 kWh of usable capacity in the old 24 kWh Leaf. The second leg to Santa Maria would likely use another 16 kWh, though we've yet to do that leg ourselves. That's a total of 42 kWh. Unfortunately, the Leaf at least does not use all of its 40 kWh nameplate capacity. Instead, there's only 37-38 kWh available. In either case, the route isn't doable in a 40 kWh EV. 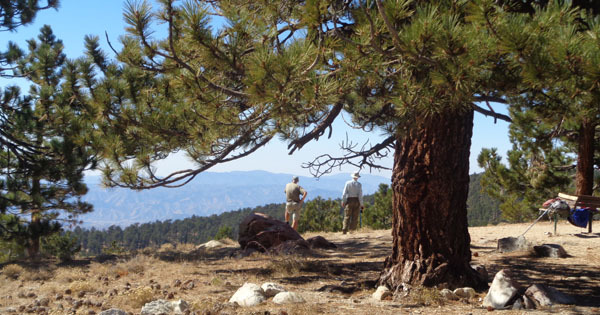 We could shorten the route somewhat and just drive to Pine Mountain Club. However, the total of the legs to Pine Mountain Club and that to Santa Maria are nearly 40 kWh. That's more than the usable capacity of the 40 kWh Leaf. 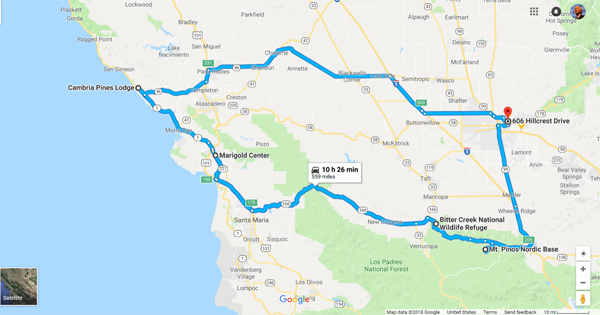 Once charged in Santa Maria, a 40 kWh EV can easily make it to Cambria on something less than 20 kWh. This trip in a 60 kWh EV is the kind of trip we often took in our gasoline-powered cars. It required more planning with a 60 kWh EV than simply driving a gasser, but it worked without any hassles. This trip is not doable in a 40 kWh EV and it's trips like this that are reason we chose a Chevy Bolt and it's 60 kWh battery over a 40 kWh EV.